Thanksgiving is a time to share a meal with turkey, stuffing and of course pumpkin pie. We spend a lot of time planning our Thanksgiving meal (making sure to include everyone’s favorites) but we probably spend very little time thinking about the nutritional value of the meal. This year, the Strengthening Partnerships, Results, and Innovations in Nutrition Globally (SPRING) project wants to combine the traditional focus on food with a story that will inspire you to consider nutrition as you plan your holiday feast. Asasira Adera and Carol Noel Agabiirwe would probably have a lot to say about all the desserts we are about to indulge in over the next few days. Both have been working with the SPRING Project as “Nutrition Trainees” in Uganda. This program, developed by SPRING, helps Bachelor of Science in Human Nutrition and Dietetics students at Kyambogo University gain technical experience to ease their transition into the working world. Asasira and Carol were part of the very first group to join SPRING last year. In Uganda, the rate of stunting in children under age 5 is 38 percent. Stunting limits children’s ability to learn and impacts their future earning potential. Unfortunately, trained nutritionists with strong technical and leadership skills that can improve nutrition behaviors are scarce. Hoping to inspire more young people to become leaders in the field of nutrition, SPRING/Uganda’s internship program focuses on building the knowledge and skills to produce meaningful results. The program requires interns like Adera and Carol to design a work plan, outline specific objectives and produce targeted deliverables due at the end of the training. Both Adera and Carol used social and behavior change communication (SBCC) strategies to promote nutrition behaviors at the community level. They counseled mothers and fathers with children under age 2 to adopt targeted nutrition behaviors such as exclusive breastfeeding. They provided nutrition services using the nutrition assessment, counseling and supportapproach (NACS), and worked with pharmacies and hospitals to ensure a steady supply of iron folic acid, or IFA, supplements for pregnant women. Looking back on their experiences, Adera, who worked in the Ntungamo Districtwith district officials, sub county officials, health workers and village health teams, said she was inspired by the strong rapport she built with community members, who, after a year of working together, trusted her and accepted her into their community. For Carol, being able to translate theory and academic knowledge to real people in the community was an incredibly rewarding experience. She felt more confident in her facilitation and communication skills thanks to the training and support she received through USAID’s SPRING/Uganda. Having the opportunity to see the impact of their work was a formative experience for both Adera and Carol. SBCC programs for nutrition are challenging, but when new behaviors are formed and lasting improvements in health are made, the payoff is immeasurable. As Adera and Carol were developing their nutrition skills, they were also helping the community to learn and grow. In May 2014, Kyambogo University and SPRING/Uganda signed a memorandum of understanding to continue their partnership to support new nutritionists with training. 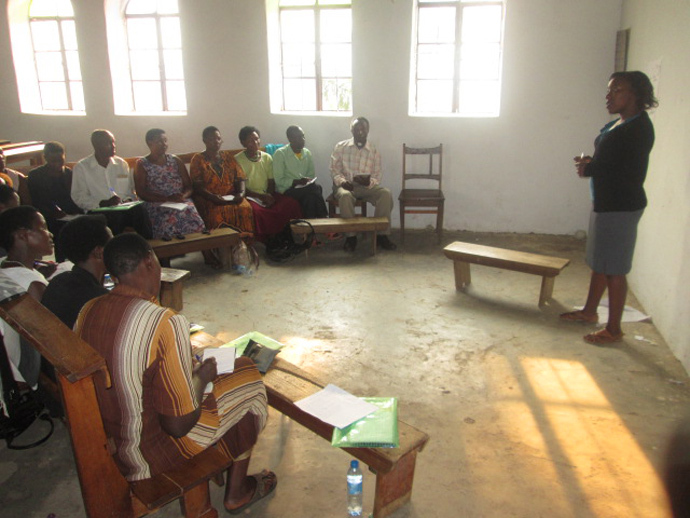 A group of six new nutrition trainees just joined SPRING/Uganda this June. Now, it is Adera’s and Carol’s turn to share their knowledge and lessons learned with the new group. 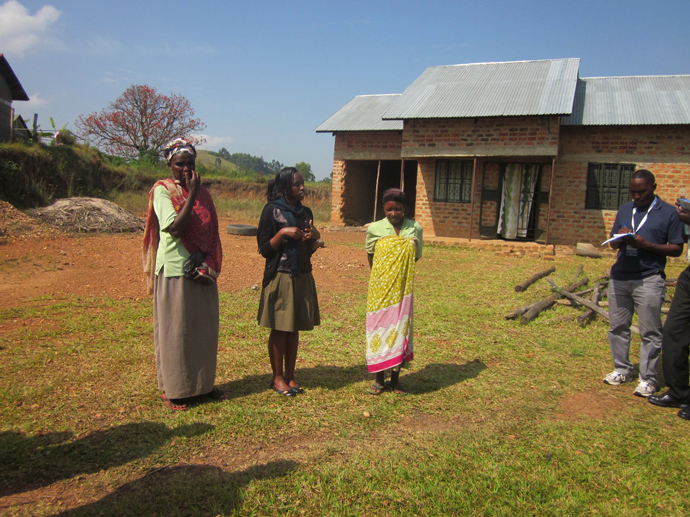 Make sure to follow SPRING/Uganda for updates from communities learning about and improving their nutrition behaviors. Alexis Strader is a Knowledge Management Program Officer at John Snow Inc. (JSI) based in Washington, D.C.